Someone breaking into your house is something that no one should have to endure. It can rattle your confidence and keep you on edge. To not feel safe in your own home or when leaving your home is a source of constant anxiety. As the saying goes, a home should be a person’s castle, and when the castle is breached, it can be hard to repair that feeling of security. 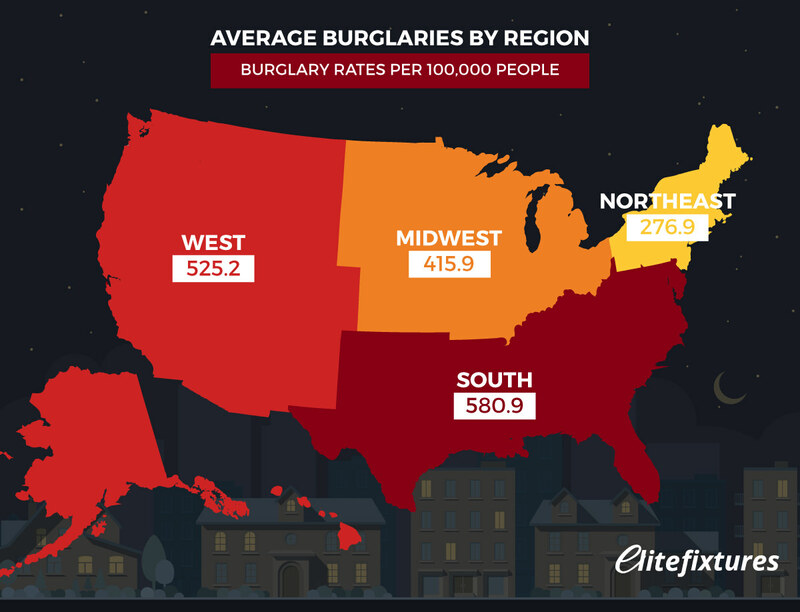 Our friends at Elitefixtures.com recently shared with us a study that they put together on home burglaries in America. In the study, the analyzed government data to determine a number of national and regional trends when it comes to this type of crime. This data looks at one year of data and the per capita rates, in addition to a few other interesting tidbits. First, when looking regionally, the southern part of the United States surprisingly has the highest number of burglaries at 580.9 per 100,000 peoples. As the study notes, Southern manners seem to go out the window. Interestingly, that’s more than double the rate of the Northeast. With so many large cities which have a reputation for crime, one might think that they would lead in crime rate. However, they are in fact the lowest at 276.9 per capita. When it came for a state-by-state look, a non-Southern state was actually number one: New Mexico. It leads the nation at a per capita rate of 830.9 — significantly higher than any of the regional averages. Arkansas, Mississippi, Oklahoma, and Louisiana round out the top five highest states. Opposite of that, New York has the lowest rate in the nation at 201.7. New Hampshire, Virginia, Pennsylvania, and Connecticut are the next lowest states. 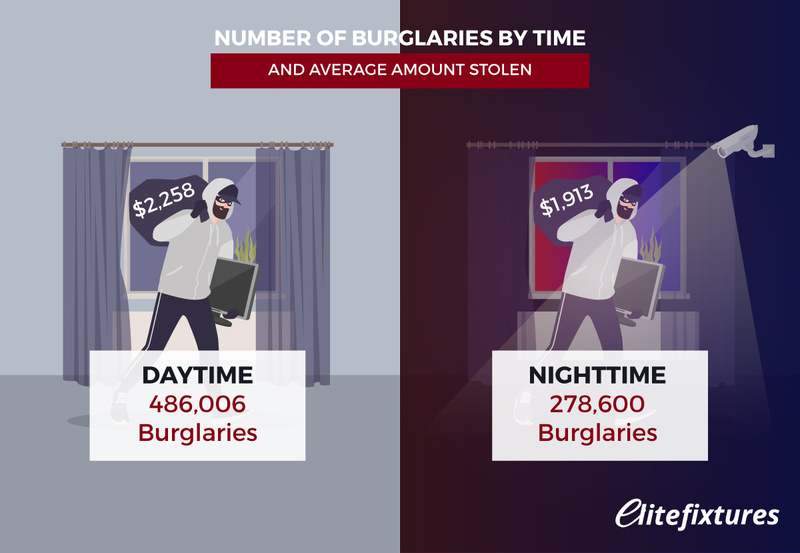 One of the interesting stats that the study analyzed was the amount of daytime burglaries vs. nighttime burglaries as well as how much is stolen in terms of monetary value. There significantly more daytime burglaries than nighttime and $300 more is stolen during the day. At first glance those stats might be surprising as the stereotype is a thief in the night. But when thinking more on it, it does make sense as burglars would be looking to break into homes that do not have people in them so they can ‘work’ uninterrupted. A burglary is crime that does more than just rob you of your possessions. It can rob you of your security and your feeling of being comfortable at home. The rate that these burglaries occur varies significantly by state and by region. It is important to always keep your house secure and call the authorities if you suspect that something has occurred.